Two YPG fighters in Syria. As the world marked the centenary of the Sykes-Picot agreement last week, the future of borders in the Middle East was the cynosure of all eyes. The legacy of great powers interfering in the affairs of states in the region is accentuated to a large extent by the conflict and often paradoxical alliances among various actors. However, one population in particular was arguably most affected by the system that emerged from the agreement. The Kurds, a nation without borders, represent a massive exclusion from the Sykes-Picot agreement. Today, more than 30 million Kurds spread across the borders of Turkey, Syria, Iraq, and Iran. Many tend to be citizens of these states on paper, but not in practice, and thus have been subjected to mass discrimination as minorities without their own country. From Saddam Hussein’s genocidal al-Anfal campaign in the late 1980’s to today’s persecution and media takeover in Turkey, the Kurds of the Middle East have suffered greatly. The call for a Kurdish state has long been relevant, but in recent years, this call has become louder and more realistic as Kurdish militants fight the infamous Islamic State in both Syria and Iraq. Great powers such as the US and UK have shown support for the militants, paving a stronger road for this phenomenon. However, the path is definitely not clear; an independent Kurdistan may be arguably deserved and it may be the right time to make it happen, but it is evident that new issues would arise on top of old ones. Furthermore, whose claim of independence would it be? The Kurds are not of one ideology or alliance, and there is still an abundance of Arabs and other minorities in these areas living among them. More questions become relevant as well, such as which specific territory and under whose authority is the claim to be put forth under? We will have to wait for the end of the Islamic State to see the answers to these questions, for it is the plague that hinders and complicates the politics of the region immensely. Due to the Daesh threat, we see a paradoxical alliance of the US with both Kurdish fighters in Syria and the Turkish state simultaneously. We also see the beginning of a new Turkey – PKK conflict and the effective seizure of new territory by various Kurdish groups. US aims of a post-Assad political transition and the defeat of ISIS are likely not able to be met with these alliances and the parallel pursuit of victory for Syrian rebels backed by Turkey. The US needs to put into motion a plan for dealing with internal confusion and the post-ISIS reality. Turkish President Recep Erdogan must be pushed into peace talks with the PKK in exchange for the support of Turkish interests in Northern Syria. The US must also secure the safety, freedom, and rights of the Kurdish people in the region once a political transition has taken place. However, it will be difficult to satisfy both sides due to Erdogan’s growing authoritarianism and his view of the PKK as a manifestation of Iran’s influence in the region, and the PKK’s desire for an independent Kurdistan. With the many paradoxical alliances and political play of great powers, it is easy to forget about the long-term effects beyond the fall of ISIS. If the collapse of modern Middle Eastern borders in the region is increasingly stressed, how will it look with a triumphant Kurdish Spring? 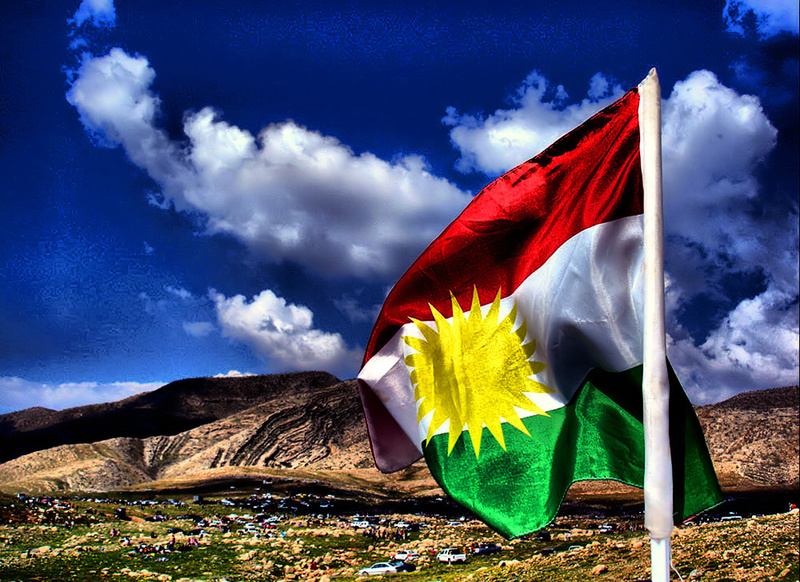 The answer lies within the method of getting there, and the many relevant issues the Kurds must overcome. First, there are two general means of action that would realistically, but not certainly, lead to the ambition of independence. With regards to Syrian Kurds specifically, a replication of the semi-autonomous Iraqi Kurdistan that used American support for power is an option. However, in this scenario, an independent Kurdish state is unlikely any time soon due to the politics of regional powers, predominantly Turkey, and the political transition of the Syrian government fastened by the US and Russia. The other method for approaching independence is by increasingly taking advantage of the conflict and expanding Kurdish territory in the chaos. This may create more conflict with Turkey, but it will also bring together more Kurds. Different from those in Iraq, Syria’s Kurdish population is separated into three cantons in two non-contiguous areas in the country’s north, and proceeds to have the ISIS threat at all times. Also contrasting with the Kurds in Iraq, Syrian Kurds are supported by their alliance with the PKK, which in turn has brought several underlying issues of its own. In Iraq, cooperation with Baghdad is essential for Iraqi Kurds. Baghdad must accept that this Kurdistan might be more beneficial as an ally outside its borders, rather than within, as Baghdad as failed to attain the level of organization and efficacy that the Kurdistan region expresses. Providing Kurdistan with a great degree of autonomy may aid Baghdad in its issues regarding political instability. The Kurds also currently face internal issues. First, we must not look past the cruelties and war crimes committed by some Kurdish militants documented by Amnesty International and other organizations. This is an all too familiar issue for multiple parties in the region, and the Kurds must act to prevent further atrocities to ensure secure US backing. In the future, the issue at hand is the make-up of a Kurdish political realm. Places like Kirkuk, in which Kurds make up just over 50%, need the support of the Turkish and Arab population for a “Yes” vote in advancing independence from Iraq. An independent state would also need a representative government to ensure a stronger reality of internal stability. It cannot become a solely Kurdish-controlled nation-state similar to the governments it has been oppressed by for decades. Therefore, an emphasis on the prevention of an old game with a different name through representation of various ethnic groups and minorities is essential for planning Kurdish independence in both Syria and Iraq. In conclusion, many believe it is time for the Kurdish Spring to be recognized and rewarded for its role in the conflict, but the movement is largely complicated by the political rivalries and alliances which have arisen in the quest for the end of the Islamic State. When Daesh leaves, the survival, protection, and autonomy of Kurds may depend on a similar type of agreement in the Middle East as 100 years ago. The Sykes-Picot agreement, the very covenant that denied the Kurds their own state, is fading away under the current conflict, and the pressing question is what will remain afterward.